That's not fair. You can't rate it for how you guess other people may find it. Just call it as you see it. That's the best you can do. Those don't look like they're "right" anymore. The texture of that candy (when it's fresh) is nothing like you described. Try to use google image search to find out what that candy is supposed to look like. 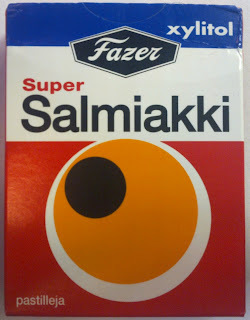 This is little box version of super salmiakki. Xylitol makes them little bit softer. And since they are in a box, their texture "expires" faster because of humidity. Xylitol is great stuff, it is like antisugar when it comes to dentist things. The sugar version is also sold in boxes. They are the ultimate candies, I personally don't like the xylitol version so much although it's good for teeth. Hold on now... I for one would like to know your scale better. Are you implying that "almost decent" surpasses "almost enjoyable" (http://www.salmiyuck.com/2010/09/fazer-salmiakkitaytesuklaa.html)? Please do elaborate. @Adrian -- I enjoy the menthol kick, but only that; the salty liquorice addition brings it down from "halfway-decent" to "edible". Alex all the salmiac stuff you got skulls that have writing on them (BUBS)? You will like those. If not i will send you some..
Had some really nice laughters while reading your blog. 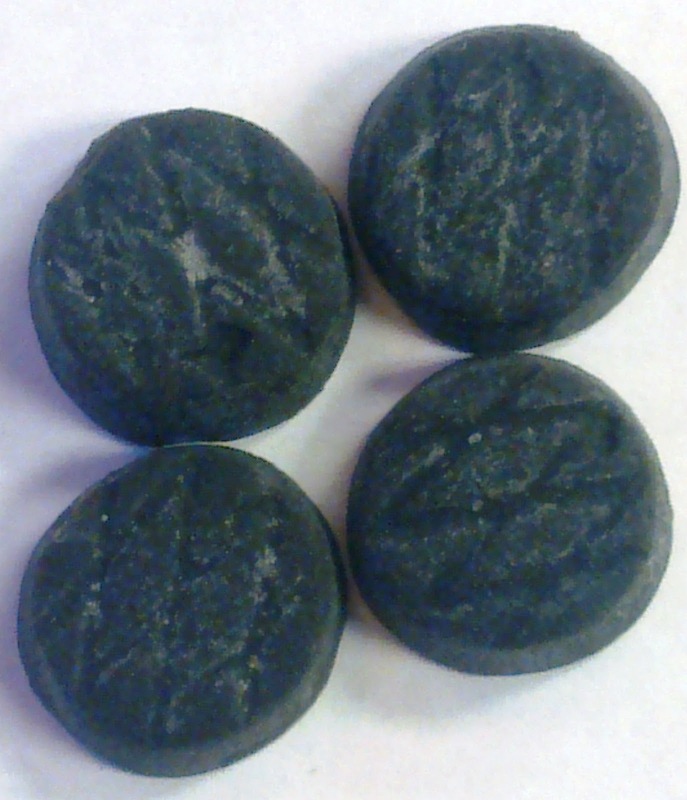 Keep up the good work of tasting our super delicious salmiakki-candy! Do you have any early testing phase salmiakkis left, so that you could test if the verdict is still the same or has your sense of taste 'developed'? These are the almost ultimate, the non-Xylitol are better IMO, and to me they are the absolute ultimate salmiak. I live in UK and I can't get them here, so whenever someone travels over from Finland the MUST bring Super Salmiakki. Yum! Yum! Yum!!! But the xylitol-version is very different from the sugar version. The taste and the texture are quite different. Xylitol might bring out a bit more the "minty" or "eucalyptus" flavours. 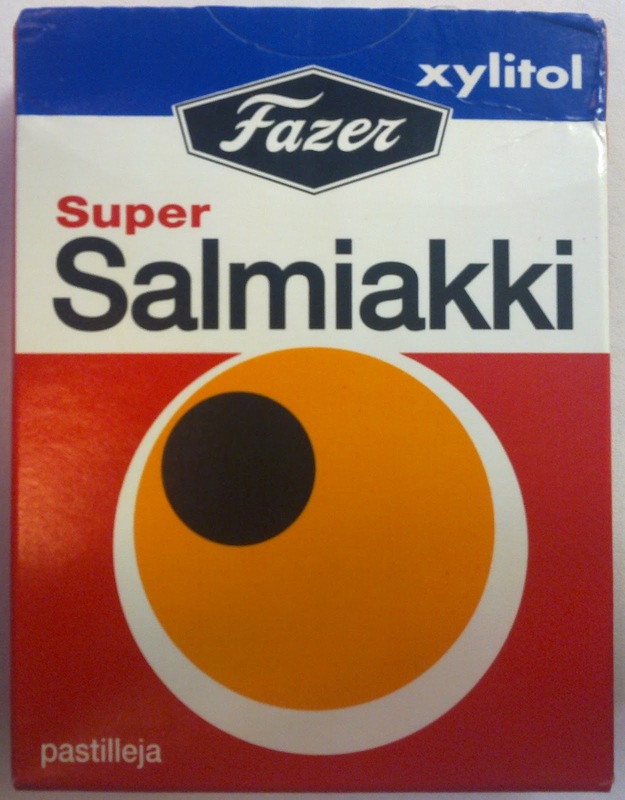 Supersalmiakki is a classic, even the design of the candy box is almost iconic. These represent the two basic architypes of salmiakki. "Salmiakki" is the lovely salty fresh kind - and supersalmiakki is sort of "heavier" and clearly based more on liquorice flavour. Xylitol won't add the menthol taste. Xylitol is chemically actually more like an alcohol and it naturally occurs in northern plants to help them survive cold time. This is why it is called birch sugar. It is very effective agaist karies (tooth disease). Not just as a safer alternative for sugar (like maltitole or other artificial sweeteners) but as a functional substance, which also works for children's ear infections. Only two reasons are against it's world success, great lobbying from artificial sweeteners and it's attribution to give gas to some people with weaker stomach. With sweets xylitol affects the texture and makes it more runny. It also adds the amount of saliva. You are getting used to them now. Soon you'll be craving for more! :) One candy at a time, you'll see the error of your ways. And you really have to try the Djungel vrål/Apinan raivo! But I guess you can only buy it from Finnish ships like Silja Line or Viking Line..?